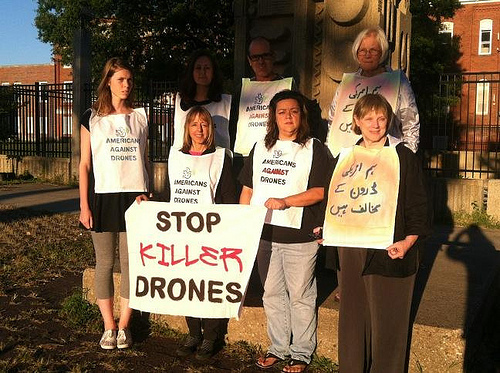 Islamabad, Pakistan— Today the full CODEPINK delegation to Pakistan will arrive in Islamabad to begin a week of activities to express their opposition to US drone strikes in Pakistan. 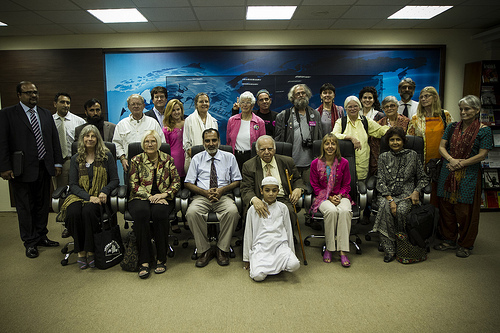 A pre-delegation group of American activists has been on the ground in Pakistan for several days meeting with think tanks, human rights organizations, and military and academic institutions. The response from Pakistanis has been overwhelmingly positive and welcoming, and many plan to join the CODEPINK contingent as it marches to South Waziristan to protest US drone strikes on October 7th. “We are already receiving an outpouring of support from Pakistani people who are heartened to learn that there are Americans with a conscience who are willing to come all the way to Pakistan to show solidarity and apologize for the drone strikes that have brought so much death and destruction to the impoverished people of north Pakistan,” said CODEPINK cofounder and delegation leader Medea Benjamin. On Wednesday, October 3, the delegation will meet with two victims from the first drone strike ever conducted during Obama’s presidency on January 23, 2009, which killed nine people—all civilians. One victim is Fahim Qureshi, who lost an eye, and had to have abdominal surgery because the drone missile pierced his stomach. He also lost 4 members of his family. The other victim is Mohammad Ejaz, who lost 2 family members. 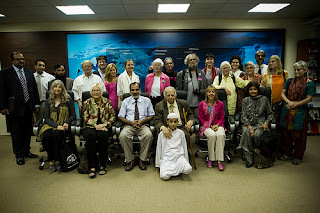 Afterwards the delegation will meet with lawyers of the Foundation for Fundamental Rights who brought a lawsuit in the Peshawar High Court against the Pakistani government for its involvement in drone strikes and another case in Islamabad against CIA officials for committing murder on Pakistani soil. The delegation will then deliver petitions with tens of thousands of American signatures opposing the lethal U.S. use of drones to U.S. Embassy officials.